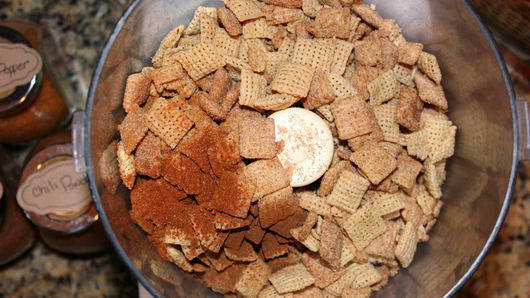 In food processor or large resealable food-storage plastic bag, combine 5 cups Cinnamon Chex™ cereal, 2 teaspoons ground cinnamon and dash ground red pepper (cayenne). Process or use rolling pin to crush cereal. Pour into shallow dish. Remove chocolate ice cream from freezer. Scoop out 3 baseball-size ice cream balls (or larger balls if you want a thinner coating or smaller balls if you want a thicker coating); shape each into an even ball. 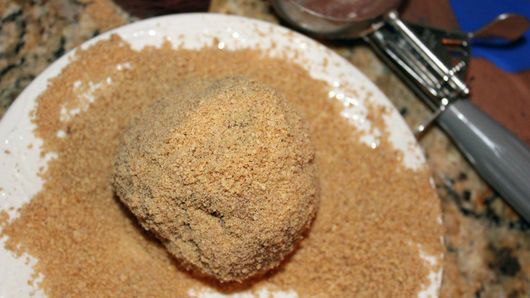 Immediately drop shaped ice cream ball into cereal mixture; roll to evenly coat, pressing cereal mixture around outer surface for desired thickness of coating. Repeat with remaining balls. 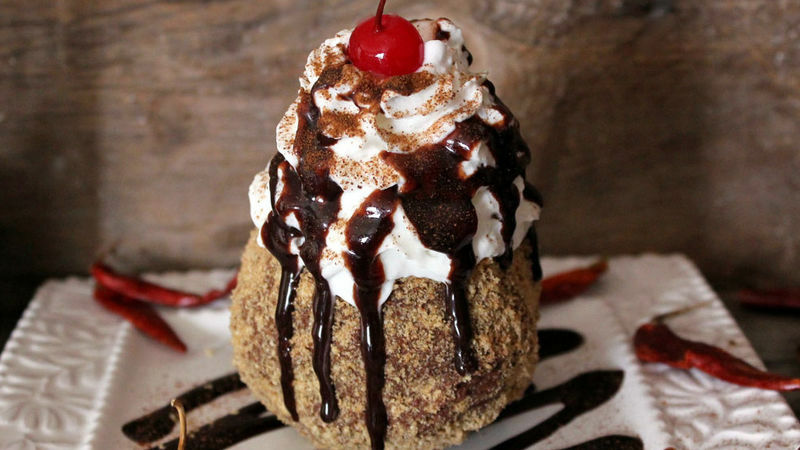 Serve immediately topped with honey or other desired toppings, or place coated balls in airtight container in freezer (without toppings) and freeze until serving time. You can add some ground chili powder for an even more Mexican-inspired flavor with less heat.